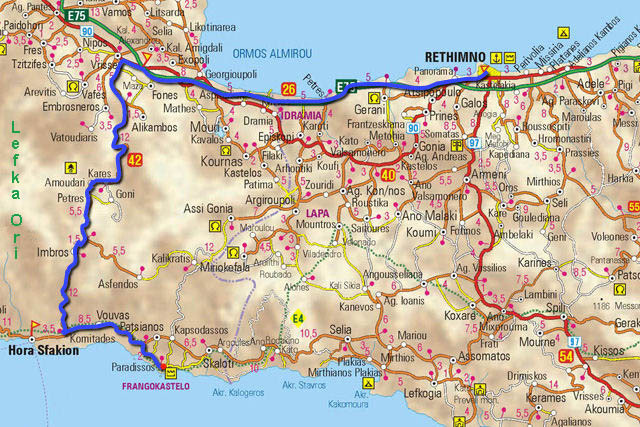 It is a long drive, past Rethimno and then to the southern coast. We stop for a rest in the village of Vrisses, where large plane trees offer cool shade. The village is quiet today. We consider sampling their famous yoghurt with local honey, but we settle for an ice-cold frappe and then get back on the road. The next village is Kares, where there are many old buildings from the Venetian and Turkish times, a few churches, and the remains of a Venetian fortress. From here we climb to the Askifou Plateau – Sfakian country – surrounded by the high peaks of the White Mountains (Lefka Ori). 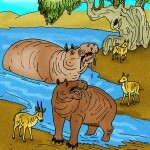 There are four villages on the plateau. 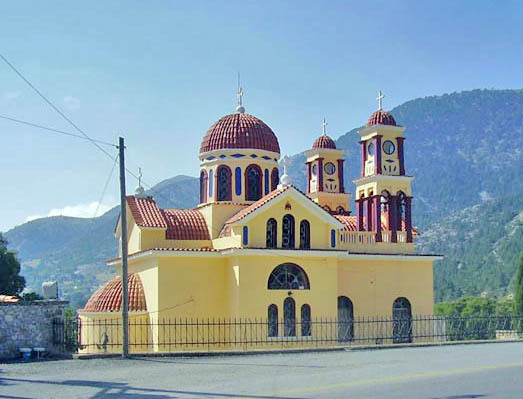 We stop in Askifou to see the new church dedicated to two Sfakian saints (Manolis and Ioannis), and a small monument to the 1866 uprising against Turkish occupation. 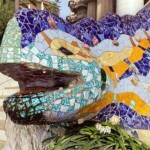 Another monument also attracts our attention. It honors the memory of Sfakians who died fighting against Janissaries in 1774. The townsfolk learned that Ibrahim Alidakis, commander of a Janissary fortress in the lowlands, planned to seize their flocks and pastures. 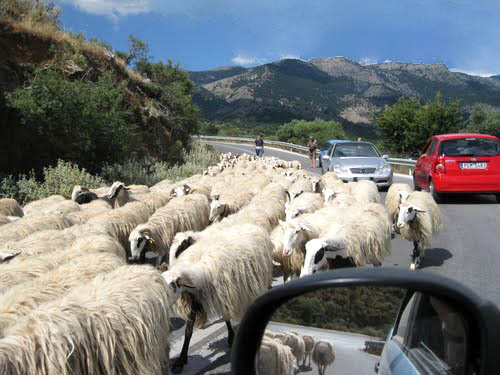 At that time the Turko-Cretan Janissaries were the most feared military force in this part of the world – but the Sfakians needed sheep in order to survive. 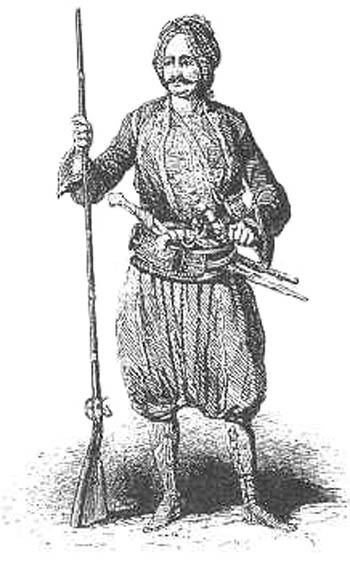 Manousos Pattakos, who had fought against the Turks with Daskalogiannis in 1771, gathered a force of armed citizens from Askyfou. After receiving blessings from their priests, they hiked down from the mountains and attacked the fort. 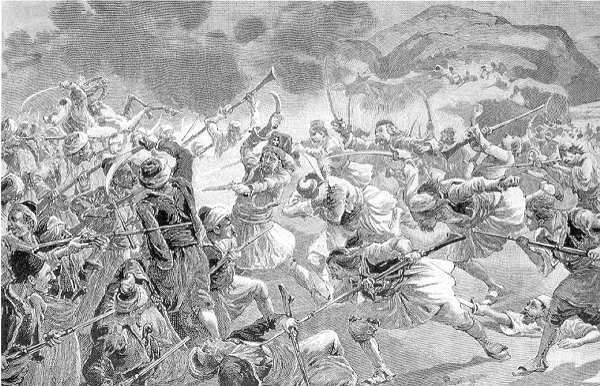 The Sfakians lost 18 men and 2 women warriors in the battle. But they destroyed an army of more than 200 Janissaries … and saved their sheep. Considering the independent nature of Sfakians (descended from Doric warriors who conquered Crete around 1100 BCE), it is not surprising this has been a place of ongoing conflict when outsiders intruded on their way of life. Venetians, Ottomans, Egyptians, and (more recently) Nazi German troops have all attempted to subdue Sfakians – and they failed. 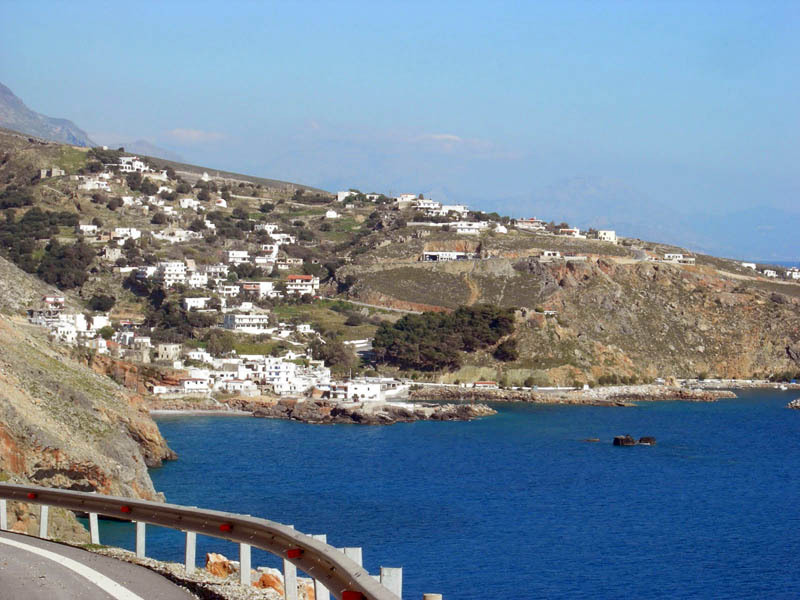 Descending from the Askyfou plateau, we make our way down the winding road to the south coast. As they have for centuries, local shepherds still use this route to move their flocks. And sheep have the right of way. When we finally reach Hora Sfakion, we are surprised it is so small and isolated. The village lies on a hidden cove at the base of a rugged mountain. Sfakians were once great sailors – and even better pirates. 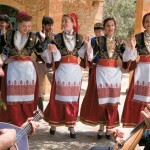 But isolated as they were in this remote place, they always played a leading part in Crete’s struggles for freedom. 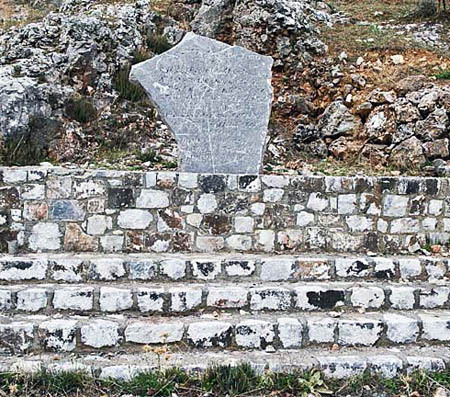 Many revolts against Venetians, and later the Turks and Egyptians, began here in Sfakia. 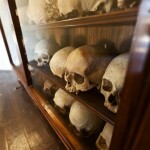 The conquerors seldom lived here, and not just because it was a tough life in the mountains. They were afraid of the inhabitants, who were used to living free and did not tolerate oppression. 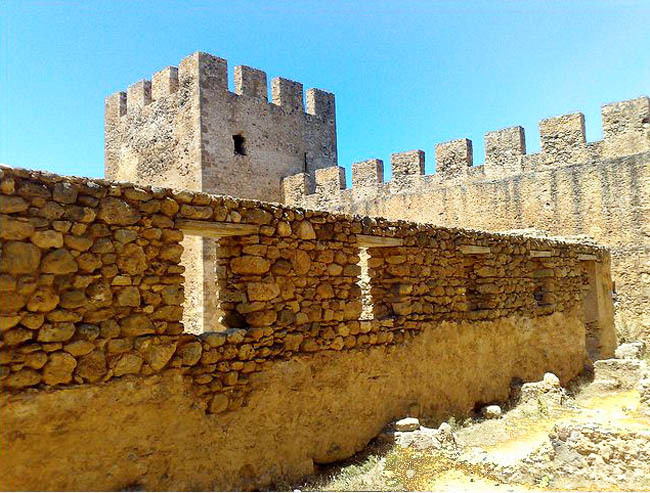 Because of this, the Venetians built Frangokastello (meaning the Castle of the Franks) a short distance from Hora Sfakion. 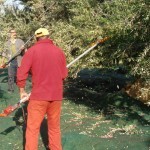 However, for a while, local Sfakians destroyed every night what the Venetians built during the day. More Venetian troops were brought in to protect the building project. Later, when the Ottoman Turks took control of the island, Sfakians from this area were the heart of the revolutionary movement. They organized the first major insurrection in 1770, five years before the American Revolutionary War. A famous battle was fought at Frangokastello on 17 May 1828. 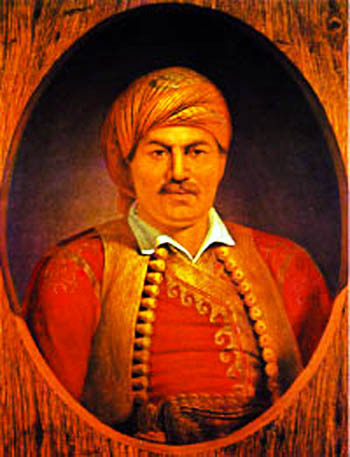 Hatzi Michalis Dalianis, a Greek patriot attempting to spread the Greek War of Independence to Crete, led 600 Sfakians and other Greeks to occupy the castle (abandoning the usual Sfakian style of guerrilla warfare). 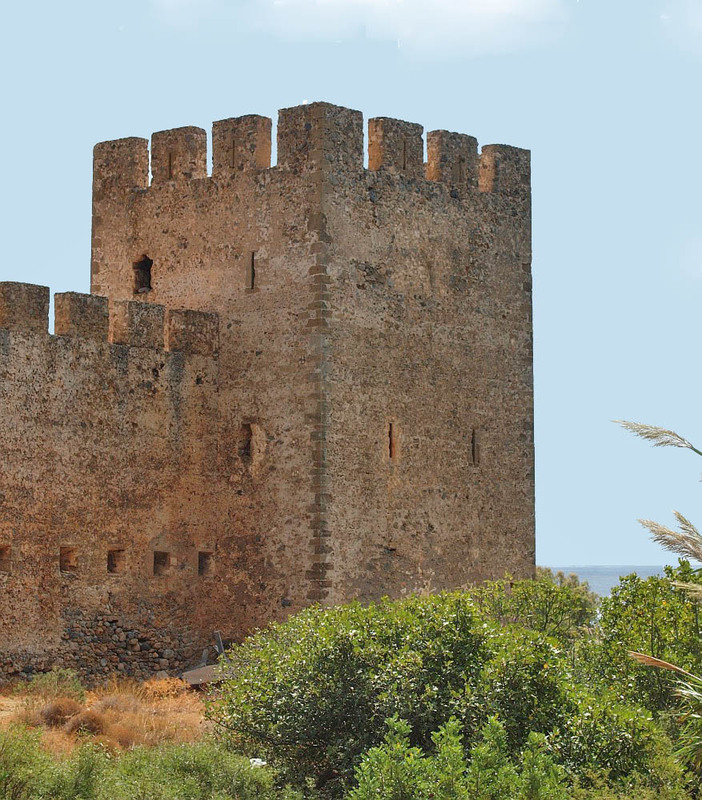 The governor of Crete, however, sent a Turkish army of 8,000 to reclaim the castle. The siege continued for a week. After Dalianis was killed along with 385 of the defenders, the survivors surrendered and were allowed to leave. However, many of the Turkish soldiers were later killed in Sfakian ambushes launched from the local gorges. Sfakians never gave up. Their motto was “Freedom or Death,” and they kept fighting Turks until they finally won freedom, more than a century later. 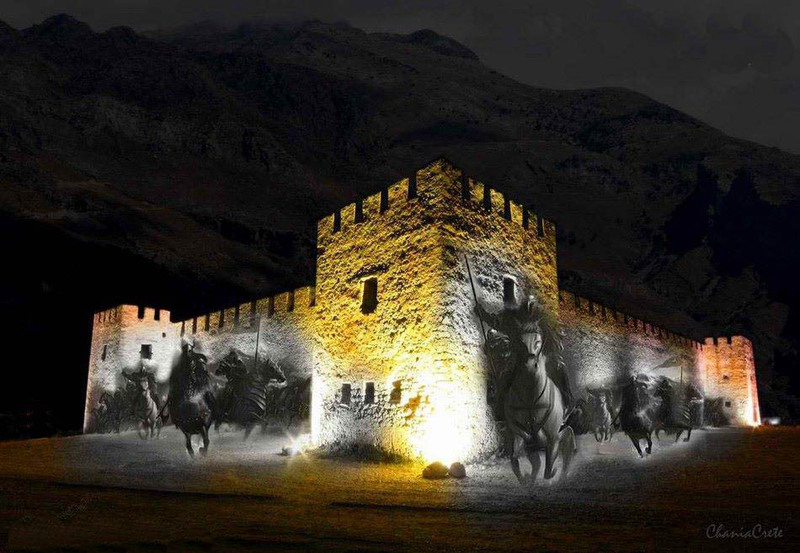 The folks of Hora Sfakion claim that, on the anniversary of the Frangokastello battle, the shadows of armed warriors have been seen passing over the fortress and moving toward the sea. The phenomenon, which is visible for about ten minutes, occurs at dawn when the air is filled with dew, hence the name drosoulites (literally “dew-men”) given by the locals. Some witnesses have heard voices and clashing weapons as well. In fact, there are recorded accounts of frightened Turkish and German guards at the fortress actually firing their rifles at the charging phantoms. Local folks believe the drosoulites are spirits of those who died during the siege, but were never given a proper burial. Others think they are ghosts of Sfakian warriors, ready to battle once again for freedom. Why did the Cretans call Venetians “Franks”? Is that another name for them? Answer: The Frankish empire – which included a large part of Europe – was Roman Catholic. When the Vatican instigated a campaign to take Jerusalem from the Muslims, it attracted many power hungry warriors – including Franks. During the crusades, many foreigners laid claim to properties in other lands, including Greece, which they carved up into personal estates. The Greeks used the term “Franks” to identify any Catholic invader.